Two students and a recent graduate from the University of Southampton scooped gold at the FISU World University Match Racing Championships 2014, which took place in Italy last weekend. 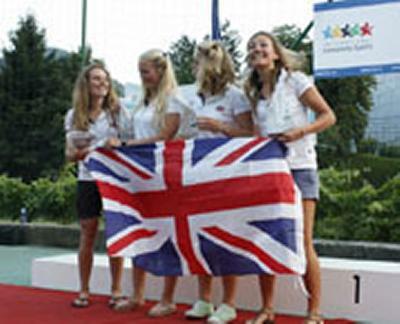 Ship Science students Annabel Vose and Emily Nagel, along with Southampton graduate Amy Prime, were the first women to represent Great Britain in the international competition, where they saw off competition from seven other teams to finish first. Hannah Peters, of Royal Holloway University, was the fourth member of the team. “The event was a fantastic experience and I couldn't be happier with the result,” says Emily Nagel, 19, who grew up in Bermuda where she first learnt to sail. The team already have a number of events planned for the future, including the second stage of the Womens Match Race Series, as well as the Etchells Invitational. “Long term we hope to continue racing as a team and if all goes well Annabel and I hope to defend our title in Perth in 2016,” says Emily.